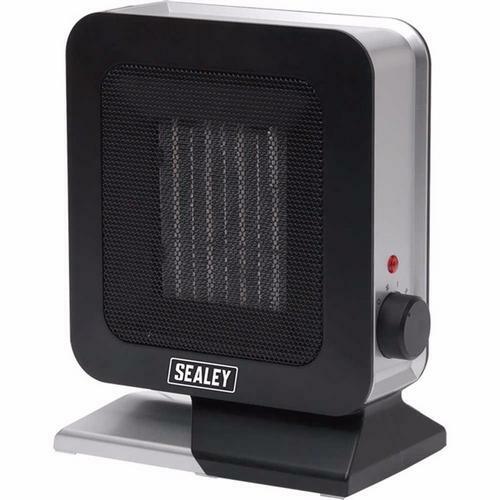 The CH2013 Ceramic Fan Heater is the ideal portable heater for use in campsites, caravans, and motorhomes, with 2 heat settings of 700W/1400W to allow for moderate heat control. This product features a PTC heat conducting ceramic element, which achieves instant, odour-free heat. This product also features overheating protection to allow for safe heating for the user, with the exterior of the unit not reaching heats dangerous to the touch. This product also comes with an integral tilt switch so that if the product is knocked over or raised from the ground the heater immediately ceases operation.